Modulated CDs, Spatial Enhancement CDs, Fine Tuning CDs and Gear Shifter CDs These CDs designed for ease in use at home, along with in schools and clinics. The protocol calls for listening two times a day for half an hour over high quality headphones and a simple CD player. I am an authorized provider. Find a provider in other areas. The Electronic Auditory Stimulation effect (EASe) audio CD series is the original disc based auditory intervention program. The EASe CD is an easy to use, simple and safe tool for occupational therapists, physical therapists, speech language pathologists and parents to teach a child challenged with sensory processing issues, sound sensitivity, central auditory processing disorder (CAPD), hearing or developmental issues, to better manage noise. 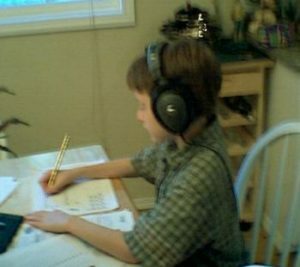 The EASe CD listening program is based on the Guy Berard method of auditory integration training (similar to Tomatis) and can be carried out at home, school or in a therapist’s office with an inexpensive CD player and a high quality pair of headphones. There are a few people in the US and in Canada that provide training in methods that are related to the Tomatis Method. The options differ significantly. It would be prudent to compare them, both with regards to the training, purchase of the equipment and other contractual terms. Research on Therapeutic Listening from Vital Links.